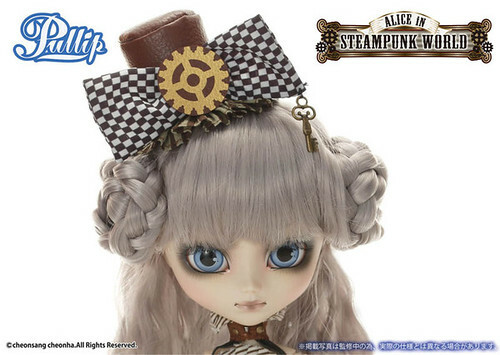 Pullip Mad Hatter in Steampunk World was the second doll released in a steampunk themed Alice in Wonderland set. 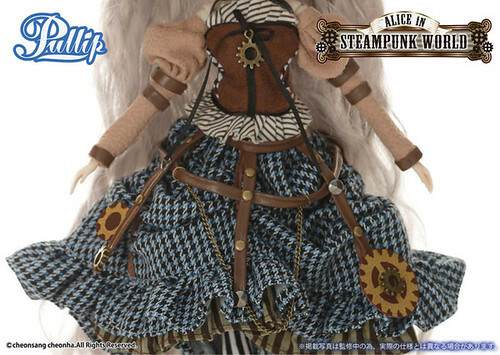 She is an original design. 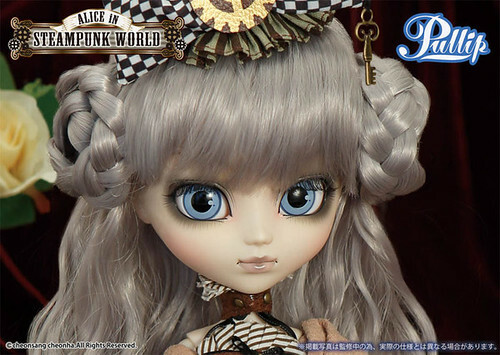 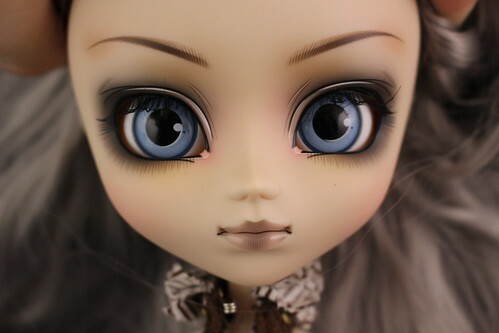 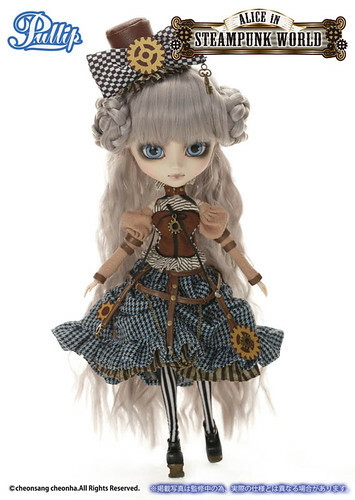 She is counterpart to Dal Steampunk Alice, Taeyang Steampunk Dodo, Isul Steampunk White Rabbit & Pullip Steampunk Alice. 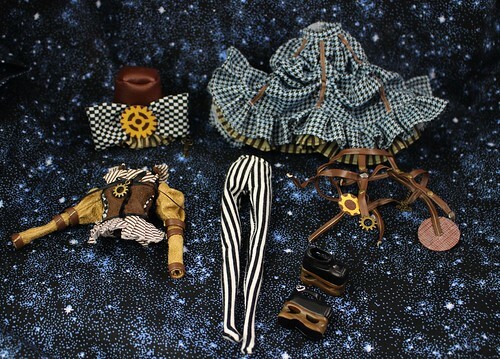 Release: Standard Release & Limited Exclusive Release- An exclusive version with an eye patch was exclusive to Groove/JPGroove’s online stores. 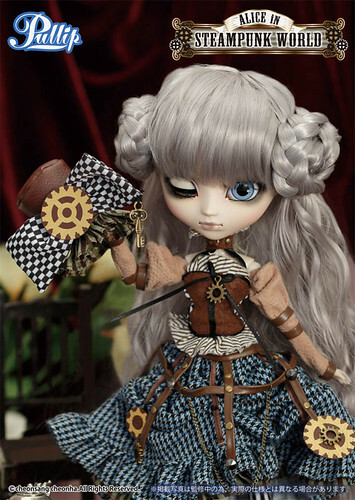 Feel Like So: Like the gear which turning around…. 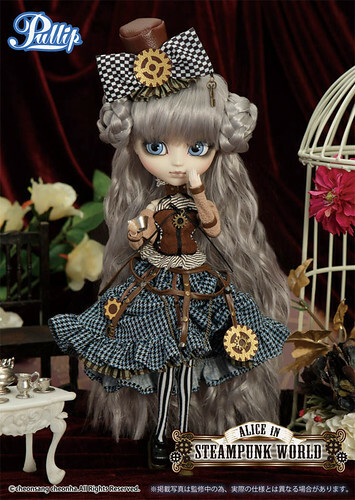 Tea Time is not over forever… why does the escritoire resemble a crow?… feel like so. 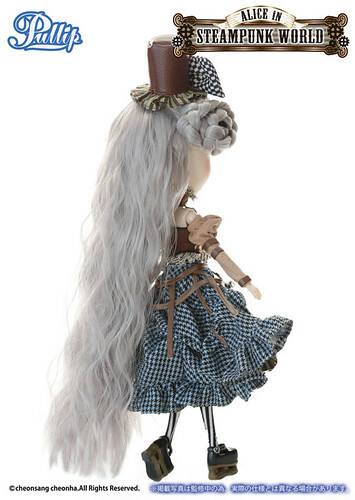 Wig: Blond with sienna brown streaks. 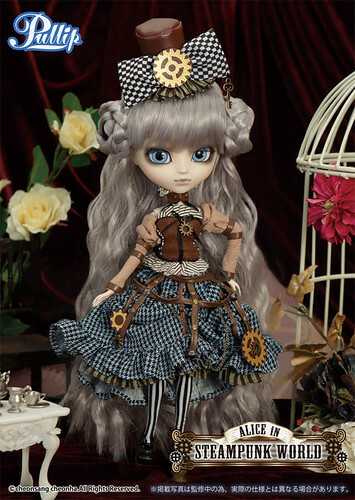 Stock: Mad Hatter’s stock outfit consists of a Hat, Tops, Skirt, Crinoline, Tights, and shoes. 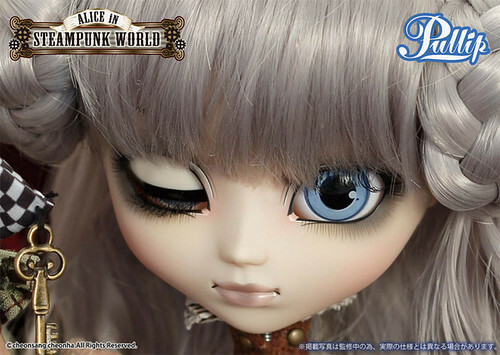 The Limited Exclusive also comes with an eyepatch, I unfortunately do not own or have access to the limited version. 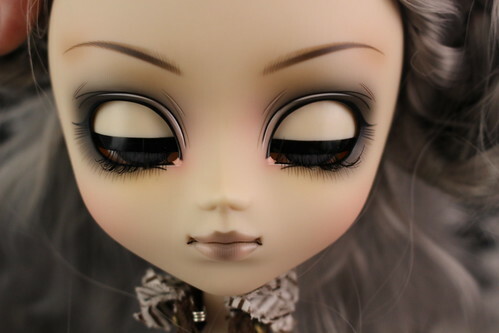 Obitsu Match: White is the closest but please note it is imperfect as she has a bit of a grey undertone to her skintone. 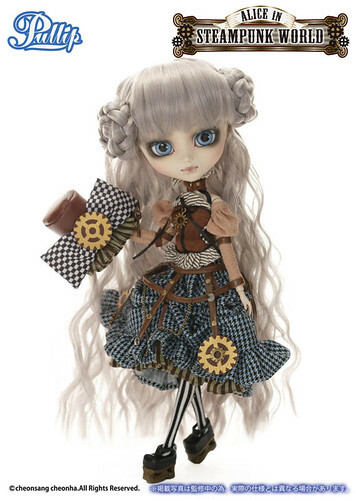 Special Notes: Her stock outfit contains real metal pieces! 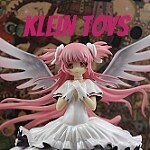 Known Issues: Top is a bit difficult to get off and on. 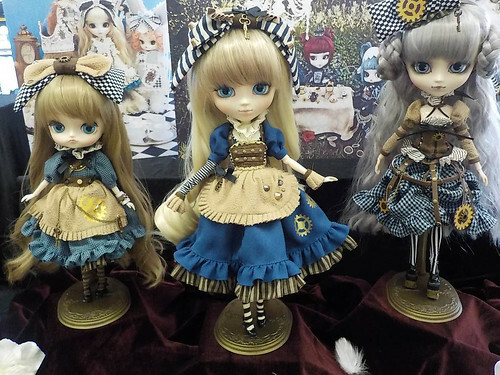 Prototypes of Dal Alice in Steampunk World, Pullip Alice in Steampunk World and Pullip Mad Hatter in Steampunk World on display at Doll Show 43. 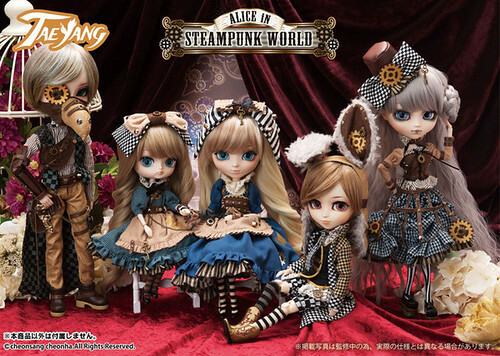 Alice in Steampunk World series- Taeyang Dodo, Dal Alice, Pullip Alice, Isul White Rabbit & Mad Hatter. 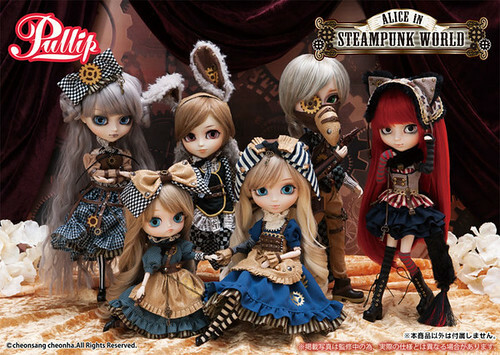 Alice in Steampunk World Series- Pullip Mad Hatter, Dal Alice, Isul White Rabbit, Taeyang Dodo & Pullip Cheshire Cat.